The first Routemaster enters service. RM1 at Crystal Palace in February 1956. Unknown photographer. 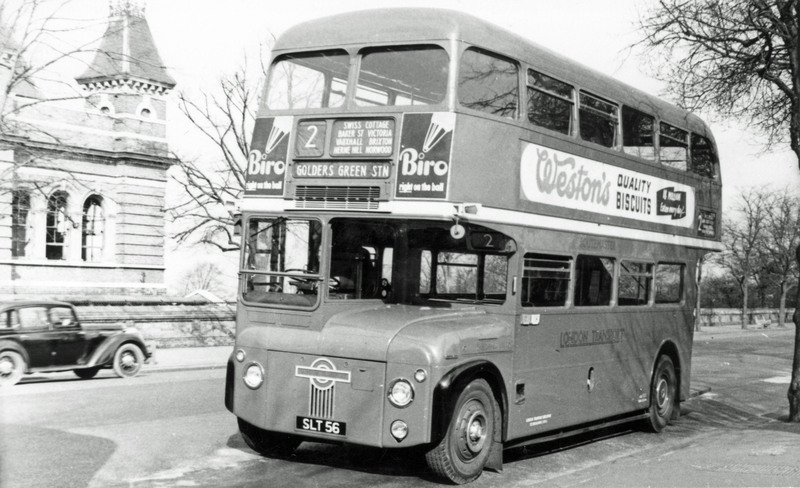 Originally numbered RM158 (London buses changed identity each time they were overhauled), this bus was delivered to London Transport in November 1959 and entered service at Walthamstow garage in February 1960, replacing electric trolleybuses on routes in east London. 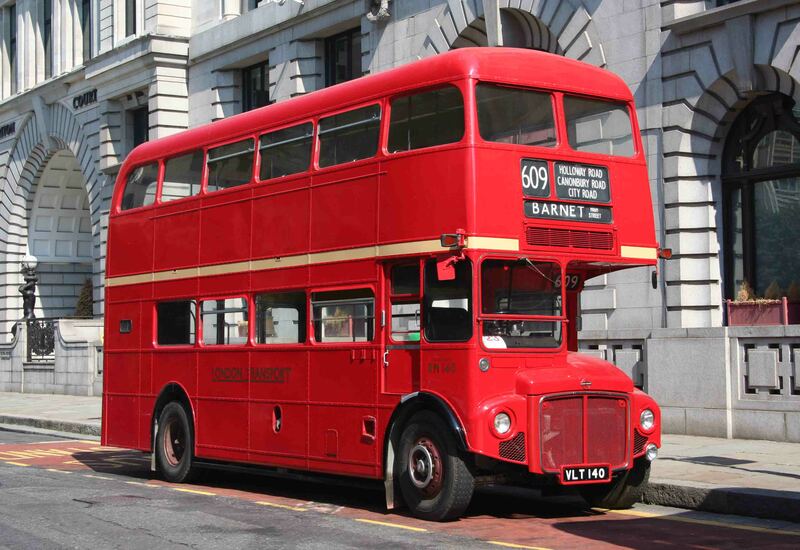 (As a matter of interest, the bus originally numbered RM140 was part of the same batch.) The bus then saw a long period of service in London, going through a total of four overhauls with identity changes before finally emerging in 1980 with the identity of RM140 which it carries to this day. Its final operational garage was Clapton from which it was withdrawn in October 1984. 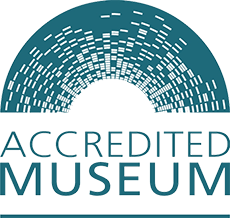 It passed straight into private preservation and, after a number of private ownerships, was purchased by the Museum in 2012 following a fundraising appeal. 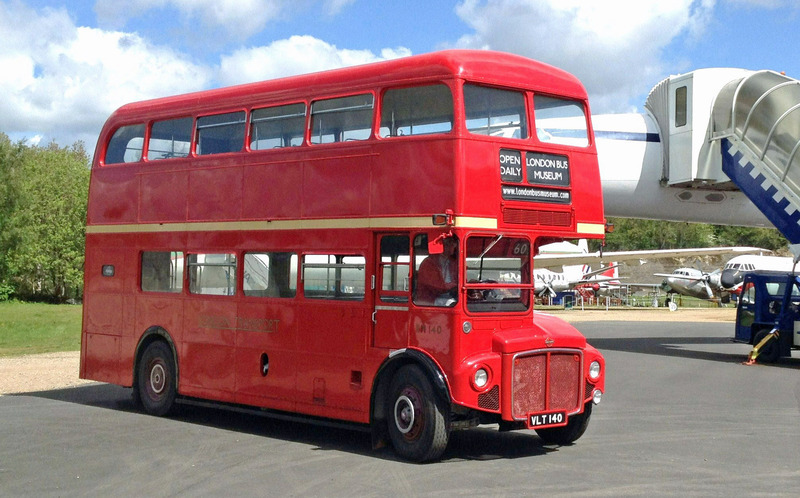 Due to its relatively early withdrawal (by London Routemaster standards), RM140 is representative of the early deliveries of standard Routemasters and retains all its original features such as the front upper-deck non-opening windows, radiator grille, ‘bullseye’ badge, brake-cooling vents in the front wings, full-depth heater intake etc. The interior is also completely original with its tungsten lightbulbs, maroon rexine and classic seat moquette. The bus is powered by an AEC engine to original specification. 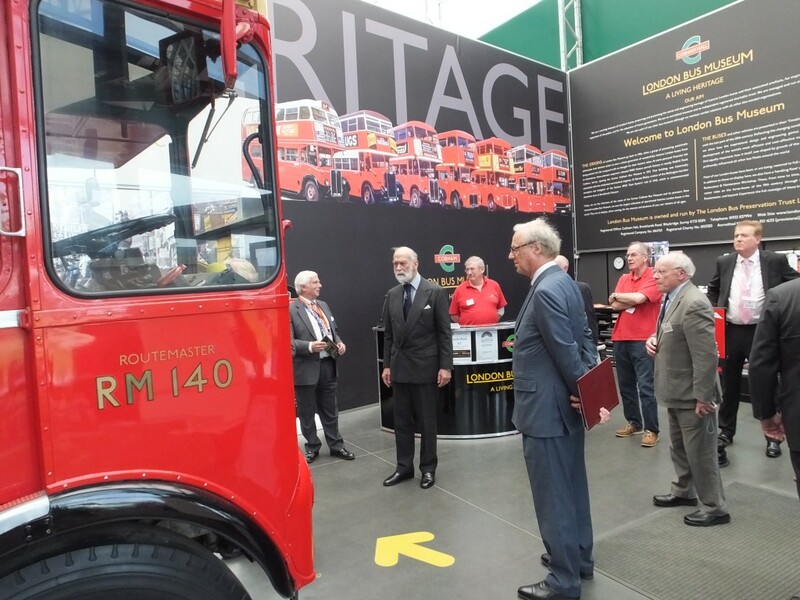 RM140 is now displayed in the museum’s reception, greeting visitors and serving as our cinema bus. Here it is seen welcoming Prince Michael of Kent on a visit in 2016.